1. 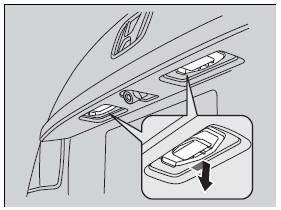 Remove the license plate light assembly by pushing the left edge of the lens toward the right and pulling the assembly out. 2. 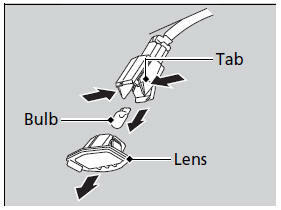 Remove the lens by pushing the tabs.